My guest today is Jaimee Ellis, author of Virgin Voyage. I am a mom to five kids, a wife, a blogger and I live with physical limitations that annoy and inspire me at the same time. I live in Wyoming with my husband and kids and a completely crazy mutt. I am inspired by a lot! My kids, my physical limitations, my family and friends. What inspired the premise for your romance/book? A cruise I took in 2003 inspired my current book Virgin Voyage (and the four other upcoming books in the series). I kept thinking about how romantic and special it could have been had I not had my kids and in-laws there with us! When did your book come out? What formats is it available in? 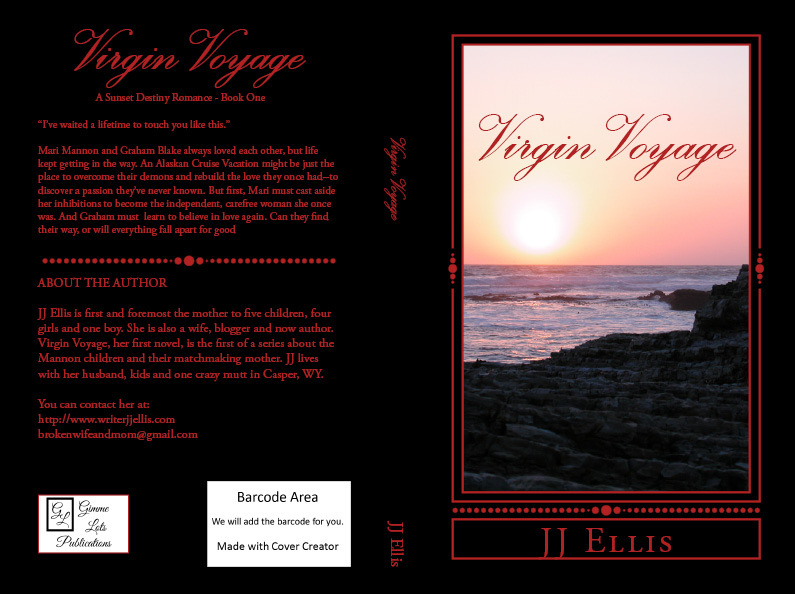 My book- Virgin Voyage was released on March 3, 2013. It is available in paperback and on kindle. My main aspiration was to just see my work in print and it has definitely come true. My next goal is to know that someone enjoyed my work. As this experience is still new I am waiting to hear back about that. What’s the biggest thing you learned about the publishing industry so far? I’ve learned that publishing, like any other business is difficult and rewarding at the same time. I have done much research and decided that indie publishing was best for me, but I definitely haven’t ruled out traditional publishing in the future. Do you belong to any writer’s groups and how have they helped you? I belong to a couple of upstart groups on Facebook, Google+ and a few other social media sites. I am relatively new to them and was already most of the way done with my book when I joined. I have learned a lot though about perseverance and grammar and luck and being there for others in the same boat as I am. I don’t think I would do anything different. I think at this point, I am exactly where I want to be in my writing career. So far I have done Romance and am just about to publish my first non-fiction book about being a mommy blogger. I will read just about any genre, but I think Romance and Mystery are my absolute favorites. Suspense. I have a wonderful idea for a novel that I hope to finish one day. I think for me there hasn’t been a book I’ve read that hasn’t taught me something about writing. But my main influences are Nora Roberts and Janet Evanovich. I have to listen to music and when I am writing my romances at least 80 percent of those songs are love songs. Sounds a bit cliché, but it works for me. How did you get into writing ? I was going through an early ‘midlife’ crisis and had no idea what to do with my life. I had tons of ideas in my head and began to write them down. Then five gets got in the way so I put it aside for a while. Then I started a blog and the writing bug bit me again and that was the end of that! Tell us a little about your next book. My next book will be the second in the series that started With Virgin Voyage. The series is about five siblings who find love (thanks to help from their matchmaking mother). Each book is about a different sibling and four of them take place on a cruise ship, the fifth takes place in Alaska. I think romance was easiest for me because I am a romantic at heart and because I enjoy reading it. Take these three words and give me a 100 word or less scenario using them: stream, anonymous, tread. The unhappy young man tread alongside the stream, hoping to remain anonymous amongst the large labor day fishing crowd. An evening out to dinner and a movie without any kids involved and then coming home to a quiet house and spending the rest of the evening just being together. When you start a romance/ book, a common question is always –do you begin with a character, or a plot? I seem to begin with plot and the characters just kind of make themselves and fall into place. This is a hard question for me. I’ve never really found someone I thought could play me well. They would have to be quirky, crazy, shy and a million other things! Who’s your favorite villain and why? Darth Vader because he is the first villain to every scare the crap out of me when I was a kid! And he was the first villain I ever saw on the big screen. Abraham Lincoln I think would have been a very interesting man. Her heart betrayed her when that familiar need worked its way through her body. Not just physical, but the need to be a part of him. She was so angry at her body, her heart and at Graham that she didn’t care if he saw the tears now. He took a step back when she turned on him, her eyes blazing. “What do you care Graham, you made it perfectly clear three months ago, and then again about five minutes ago, that you don’t care. Remember?” The pain of that day in April, of hearing the words – I think we should get the annulment, we’ve accomplished what we set out to do – was still fresh in her mind. She turned away from him and out of habit he rested his hands on her shoulders again. “I can’t let myself fall in love again Mari. I’m so sorry.” He took a deep breath. “But it doesn’t mean that I don’t care. 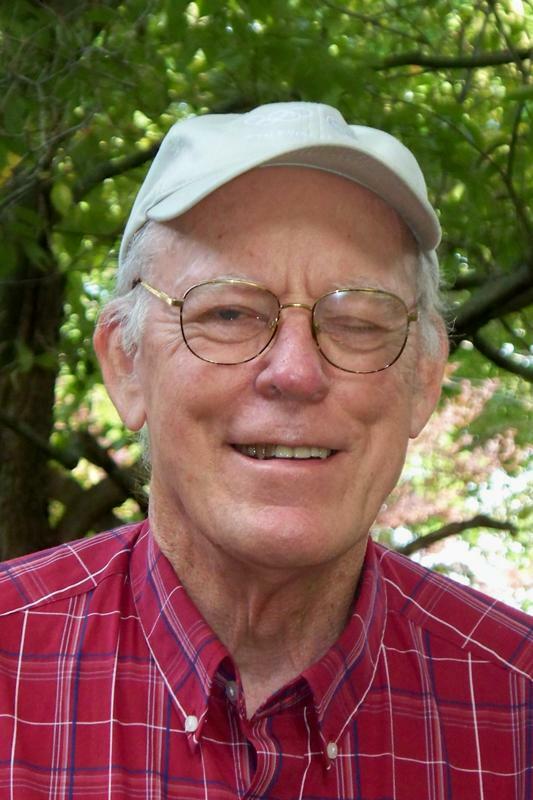 I do care – a lot.” He rested his chin on the top of her head like he used to do in the past. Old habits obviously died hard. “You are the best friend I’ve ever had. And the only woman I’ve…the only woman I’ve wanted in years,” he reluctantly admitted in a whisper as he pulled away from her. J Ellis is first and foremost a mom to five kids, four girls and one boy, ranging in age from 2-17. After that, she is a physically limited wife, blogger and now an author. She holds a degree in Communication Studies (Public Relations) from the University of Nevada, Las Vegas but never thought she would chose writing as a career, especially at the age of 42. She once wanted to be a publicist in the entertainment industry, but never a writer. Then one day when she was in her mid-thirties she was going through what can only be described as an early ‘midlife crisis’ and ideas just started to come to her and she felt compelled to write them down. She finished her first book relatively quickly, but life got in the way and it took her eight years to revisit it and then publish her first novel. She can honestly say that now she is finally right where she wants to be. JJ has been married to her college sweetheart (and romance novel hero) for eighteen and a half years and they reside in Casper, WY with their kids and one crazy mutt named Kreuger. She enjoys reading, writing, blogging, computing, and graphic design. She will try anything that will allow her creativity to be released. 2 Responses to My guest today is Jaimee Ellis, author of Virgin Voyage. Your virgin seeies sounds like a great read. Thx for sharing, Jaimie.